If you have ever bitten into a fresh piece of buttered corn on the cob on a summer night, you know why we love corn so much. There’s nothing like the fresh, delicious, crispy taste a good corn on the cob. However, the corn we eat at our modern cookouts and picnics would not exist if it weren’t for those who have purposefully developed and cultivated it over the past several centuries. 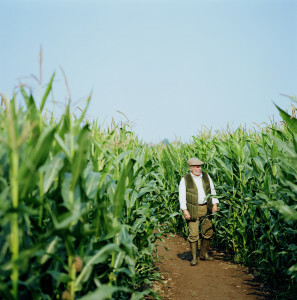 Corn is, in fact, a human invention, as it cannot be found growing naturally in the wild. Corn only survives when planted and cultivated by humans. An interesting kernel of truth is that most scientists and historians believe the people who lived in central Mexico were the first to develop corn about 5000 to 7000 years ago. It all started from a wild grass named teosinte. Teosinte probably looked a lot different from modern corn. The kernels of teosinte were much smaller than modern kernels and were much farther apart than what you find today. As time went on, this crop came to be known as maize. Indian Nations throughout both North and South America came to depend upon its crop to supply much of their food. While the roots of modern corn are found in Mexico, maize crops soon spread in a northerly direction into the Southwestern United States and Texas. It also begin to crop up in southern Mexico from the coast to Peru. Roughly around 1000 years ago, nomadic tribes begin to migrate from the Southeast, using corn as a source of food. As they made their way to the woodlands of the eastern half of North America they planted and replanted the crop, allowing the corn to adapt to different soils and climates. After several hundred years passed, Europeans like Columbus sailed to America and consequently made contact with the natives of North and South America. At this time, corn was a huge part of the diet of most of the tribes inhabiting the shores Columbus landed on. Columbus was amazed to “discover” corn, as no similar substance was known to Europe, even though it had long been in use in the Americas. Long before the football games, the Macy’s Parade, and the general commercialization of Thanksgiving Day, the first Thanksgiving was held in 1621. Unlike our modern tradition, items like sweet potatoes, cranberry sauce, and various pies were probably not on the menu. Instead, a version of corn, made by Native Americans would definitely have been one of the favorite foods. Now, corn is eaten on the cob, as loose kernels, or best of all, as the base ingredient of a great tortilla. Though corn isn’t a naturally grown plant in the wild, it has certainly been accepted as if it were one. At Acapulcos Mexican Restaurant and Cantina our soft corn tortillas are one of our most loved items. Corn has a long history in our ancestry and thus we have mastered the art of using corn in our culinary endeavors in a delicious way. Check in one of our many different locations across Massachusetts and Connecticut for authentic Mexican cuisine in a fun atmosphere!